THIS ITEM IS NOT AVAILABLE AT PRESENT. 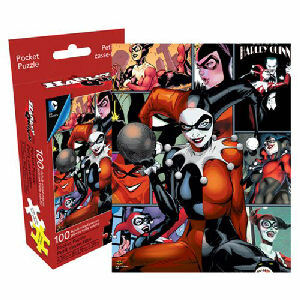 WE WILL NOT BE GETTING ANYMORE Harley Quinn 100-Piece Pocket Puzzle. Aquarius Batman Puzzles shipping from Canada. No Surprise Border fees or Customs!